WASHINGTON — The Trump administration hit Iran with new sanctions on Friday while Secretary of State Mike Pompeo was denouncing Iran’s growing influence on a visit to Lebanon. The Treasury Department said the sanctions target 31 Iranian scientists, technicians and companies affiliated with Iran’s Organization for Defense Innovation and Research, which had been at the forefront of the country’s former nuclear weapons program. Officials said those targeted continue to work in Iran’s defense sector and form a core of experts who could reconstitute that program. Fourteen people, including the head of the organization, and 17 subsidiary operations are covered by the sanctions. The sanctions freeze any assets that those targeted may have in US jurisdictions and bar Americans from any transactions with them. But, officials say the move will also make those targeted “radioactive internationally” by making people of any nationality who do business with them subject to US penalties under so-called secondary sanctions. The US, however, pulled out of the agreement last year, saying it was fatally flawed and allowed Iran to gradually begin advanced atomic work over time. The Trump administration has re-imposed US sanctions that were eased under the terms of the deal and is continuing to impose new ones as part a pressure campaign to force Iran to renegotiate the agreement. 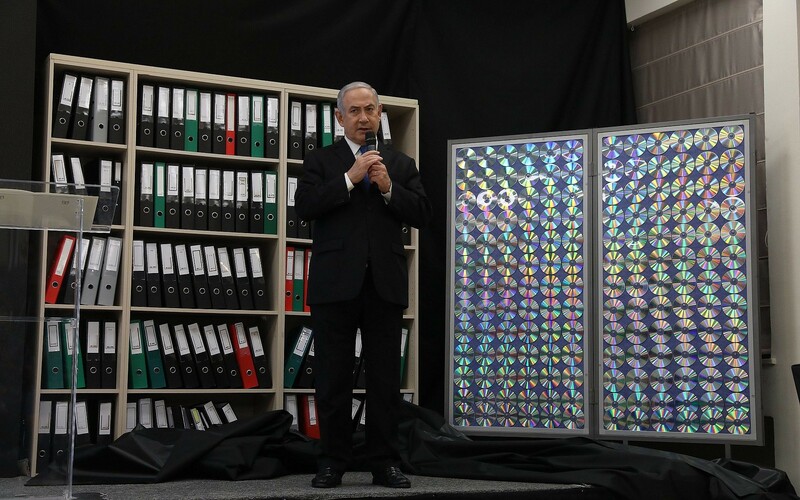 Officials said the decision to move ahead with the sanctions was in part based on Israel’s recovery of what it and the US call a “secret archive” of documents from Iran that they say shows Iran deliberately preserved and stored its early nuclear weapons work, known as the “Amad plan,” with the intent to someday resume development of a bomb. This entry was posted on March 22, 2019 at 7:25 PM and is filed under Uncategorized. You can subscribe via RSS 2.0 feed to this post's comments. You can skip to the end and leave a response. Pinging is currently not allowed.